Welcome to Sovereign Fitness where we take pride in the fact we know our members. We aim to provide the same level of service as the larger corporate gyms, but with a friendly welcoming atmosphere of a local gym. 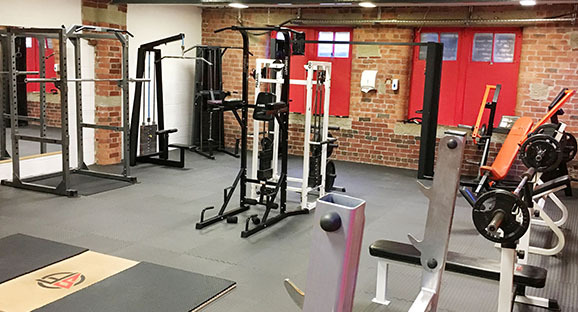 You’ll find a broad range of equipment to suit all ages and abilities whether you’re a beginner, training for an event or a dedicated bodybuilder. We currently have three experienced personal trainers working from our gym both male and female, details can be found under the PT section. Check out the range of classes held weekly, no gym membership required to book onto these just call 01484 604174 to reserve your place, pay on the day details under the classes section. Exercising around others is a great way to keep yourself motivated. At Sovereign we have a range of group classes run by Steph Skelly a Personal Trainer and Wellness Coach. Classes are suitable for all levels of fitness, you can work within your own strengths and capabilities. Gym membership is NOT required to participate in the classes. We are currently in the process of making further improvements to the gym and changing rooms so please bear with us, a schedule is located on the information board. We have a extensive range of equipment and are continually adding to it. Missing something? Requests will be considered. We have both male and female changing rooms with toilets and showers. There are also lockers which are free to use. There is a large car park on the opposite side of the road free for Sovereign Fitness members. There is no height restriction. We have a vertical tanning sunbed on site. No membership is needed just pop in and purchase tokens from reception. Noire is located in Sovereign Fitness and offers a wide selection of treatments. Gym membership is NOT needed to make an appointment. Call 07398 175947 to book yourself in. Our body mass index (BMI) calculator is a simple way to find out whether you’re a healthy weight for your height.